I have a quick finish to share today! Not that the project was actually very "quick" at all, though - I started this last February and just finished a couple of weeks ago. Whoops. I guess my priorities are with quilts. I've also figured out that I can't embroider while catching up at shows because then I don't pay attention to the shows... and New Girl needs my complete attention (Nick Miller, hellooooo). Bad Wolf on the door! Plus, metallic thread for the "movement." The windows are purposefully a bit wonky. 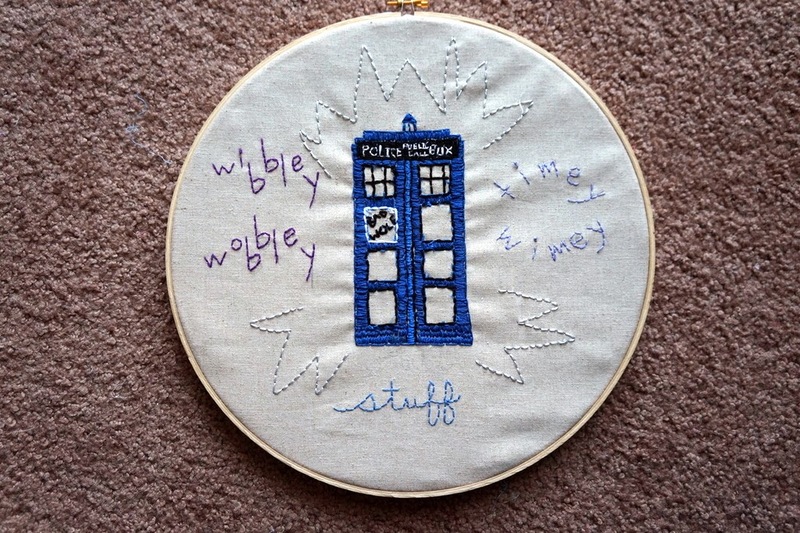 Most of you know that the husband and I are huge Doctor Who fanatics, so I thought it only fitting to draft a pattern for the TARDIS. I don't know the "right" way to mark fabric before embroidering, so I just used pencil. Works for me and it's erasable. Now I have a nice wall of hanging embroidery. 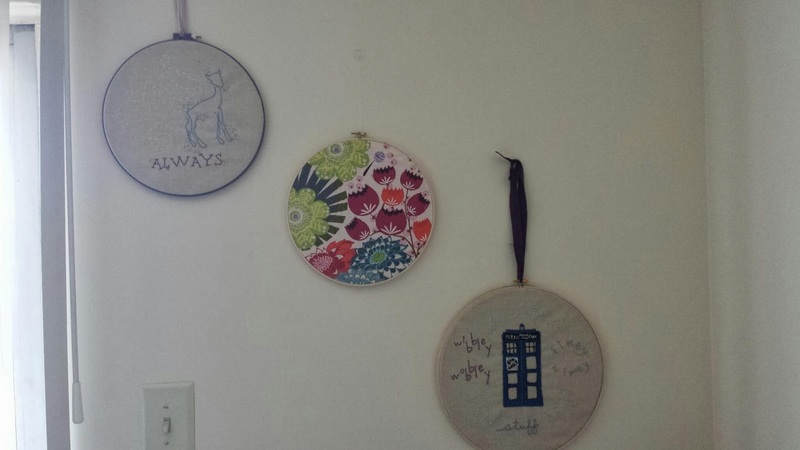 I'll be sharing some embroidery hoop decorations next week (they're elsewhere in the apartment, too :) ). Sorry for the slightly strange-colored photo - this is near the sliding glass door. Will try to get a better one for next week. 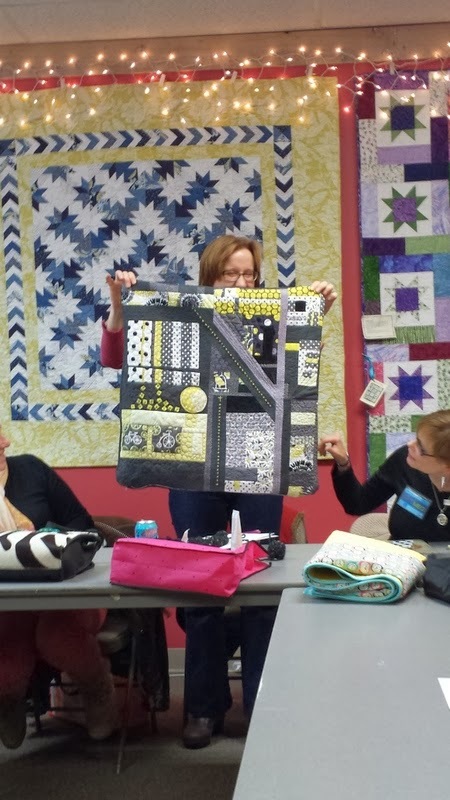 I'm writing a long-overdue post about my FMQ journey today, which fits with the Sewing With Certainty FMQ topic a few weeks ago. You can click on over there to read Christa's encouraging take on FMQ, plus 5 linked posts about other bloggers' journeys and FMQ tips! 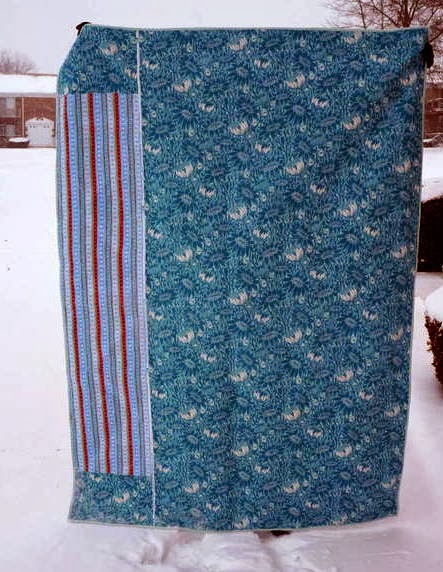 My most recent quilt/FMQ finish, Diamond in the Rough - each color is quilted custom. At the very least, all you need is a darning foot (or free motion foot). *** The other products can come later if you want, like quilting gloves (I have Machinger's and they make such a huge difference) and Supreme Slider (this is on its way to our apartment!). 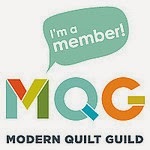 Please comment below about any other tools you find helpful for free motion quilting (hopefully someone else will find it helpful!). 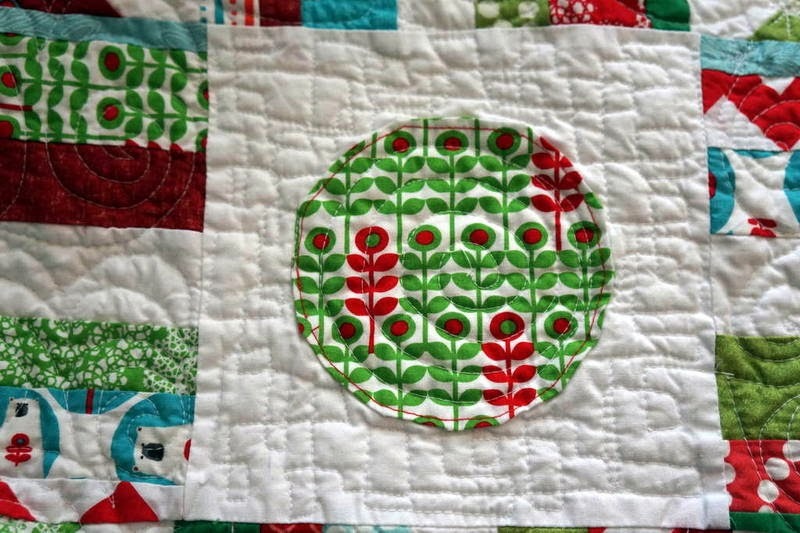 My first FMQ baby quilt had very uneven stippling (but man, was I proud!). By the way - sorry these pictures are so small. 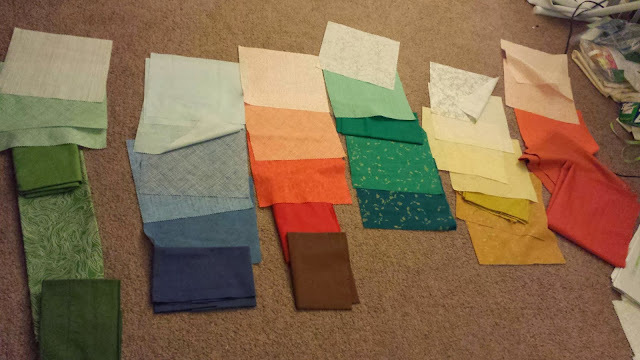 These were the early days of my quilting and blogging, and I can't make them any larger. My FMQ was very shaky at first, which is to be expected. It is a bit daunting at first to move the fabric around like you are drawing. Basically, if you can draw it (especially in a continuous motion), you can quilt it (once you have a handle over this new movement). It took me a long time to get tension right (sidenote - it was never right on my Brother but I didn't really understand that until I got my Janome) and to learn how to quilt with more equal-sized stitches. Bubble Trail was quilted on my first machine. 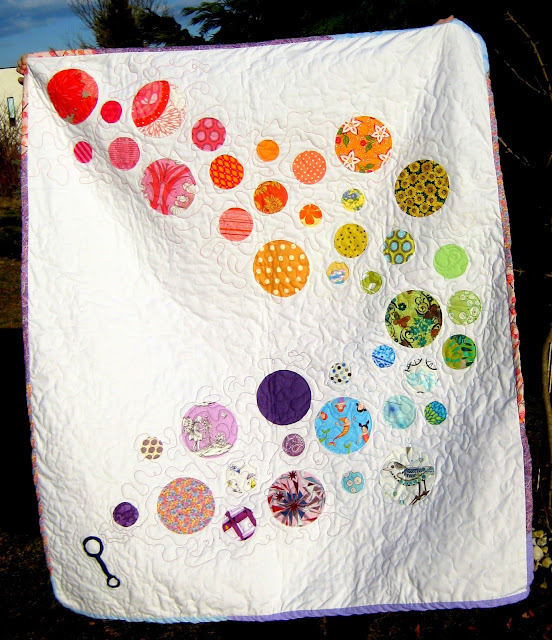 I stippled by the bubbles in their respective colors, and quilted white on the white. I was getting much better because I kept practicing! 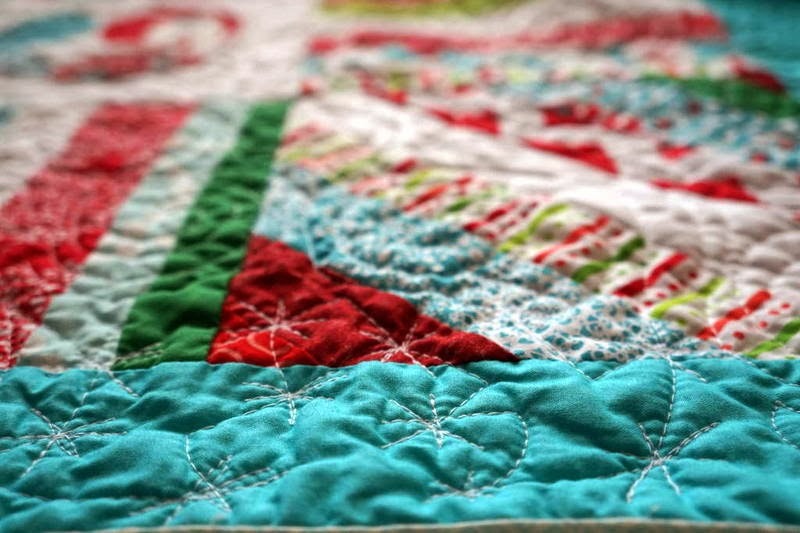 With Elsa, I quilted Facets of Emerald for the Emerald Challenge - and I got to try out all the crazy stitches I had sitting dormant in my mind (***I did have some difficulties with my small machine after a while - I didn't invest in an expensive darning foot and two of them broke. I gave up free motion for a few months until I bought the new machine because it was so frustrating. Overall, I'm not sure if it was the feet or the machine or both or the thread or the needle or what have you - something began to work against me! But please don't let my misfortune make you think you can't FMQ on a basic machine - because you can!!). That hasn't stopped me from quilting quilts as big as a queen - but I do take a lot of breaks, wear my gloves, stretch, drink water, etc. 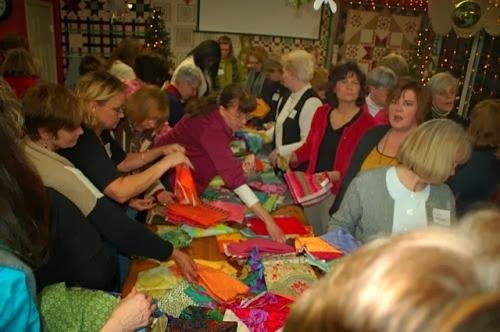 If anyone ever tries to tell me that quilting must be very boring/nonathletic/sedentary, I will laugh in their face ;) It is a total body workout! 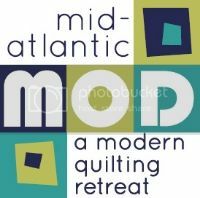 Skip the gym and FMQ! This is the largest quilt I ever FMQed (which happened to be on my first machine)- a queen sized Made in Cherry (Flying Purple People Eater. 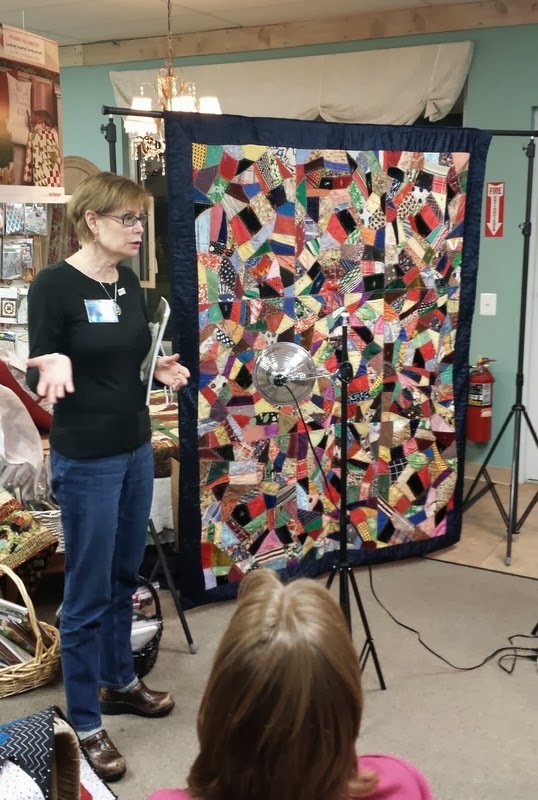 Sidenote - Adrienne recently featured this one on her blog as part of her tour of purple quilts for the Radiant Orchid Challenge - click here to read that post!). 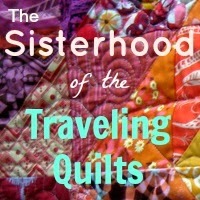 I enjoy custom quilting, especially by color, like I planned for Sedona. If I'm attempting a new design (like Pumpkin Spice Latte^^), I always draw it out first. 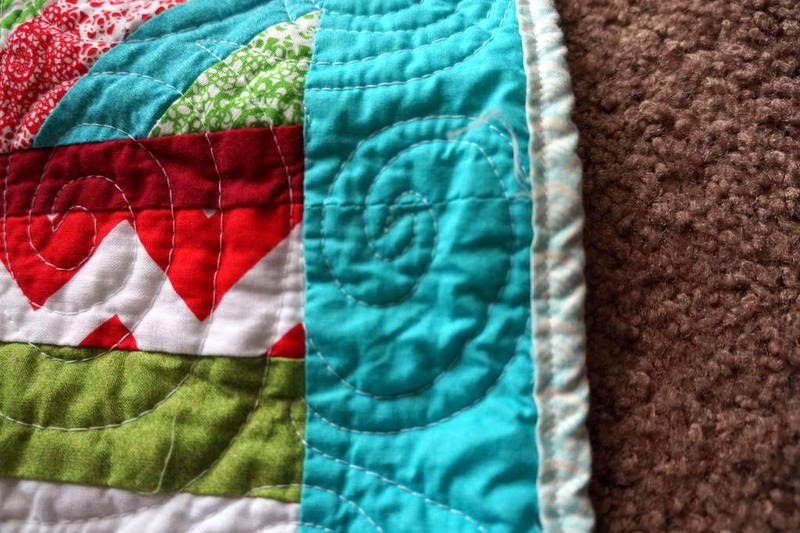 I often reach for my graph paper pad, where all my designed quilts are, because it's so close. The gridding is useful sometimes! 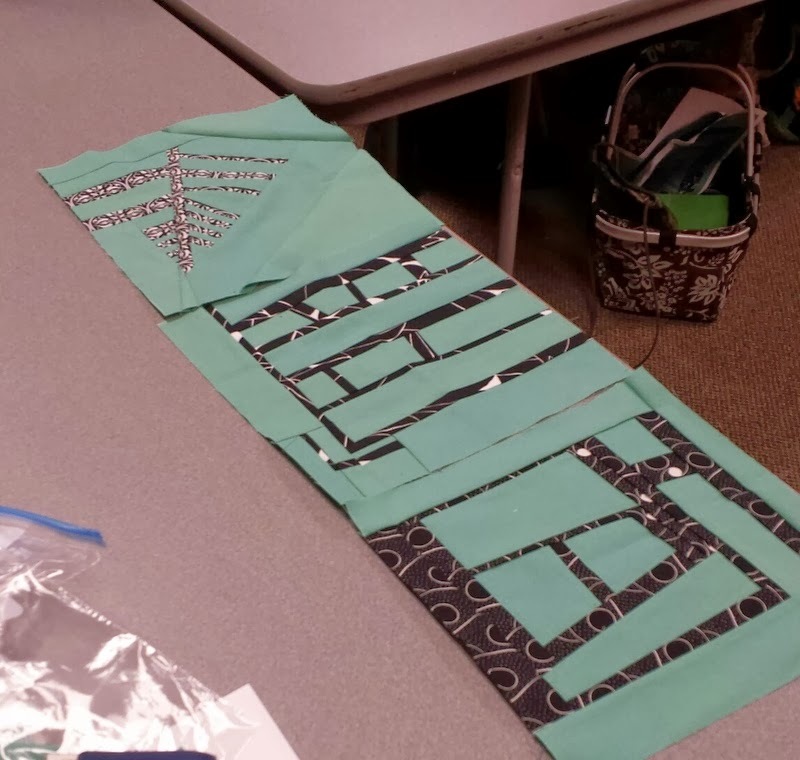 Make a journal of the FMQ you've tried so you can refer back to it for inspiration. You'll see more of this guy on Friday when I host TGIFF (come one and all to link up your finishes!). 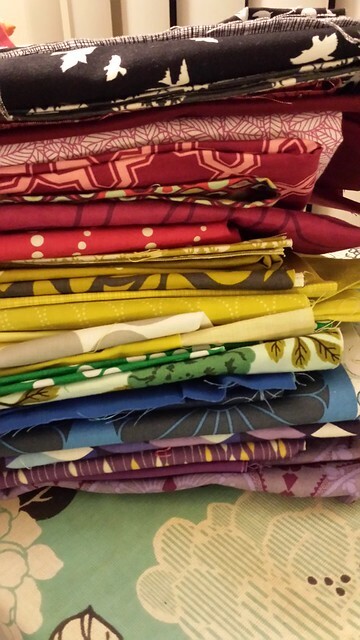 I'm in no way an expert, but FMQ doesn't stress me out anymore (unless there's a deadline approaching). I bought a "quilting machine" (Janome 6300) for a reason and I intend to take advantage of it as much as possible! 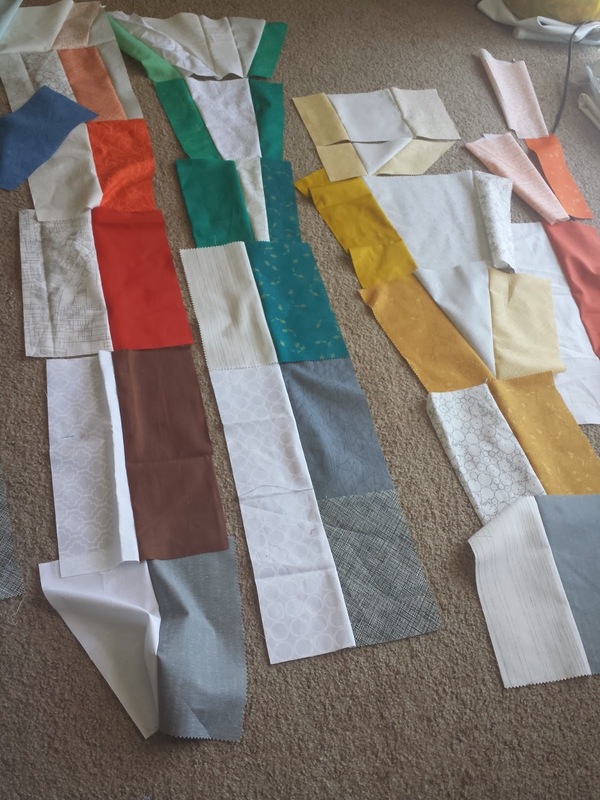 Though, I'd like to try a longarm soon just for fun (Jess? :)). 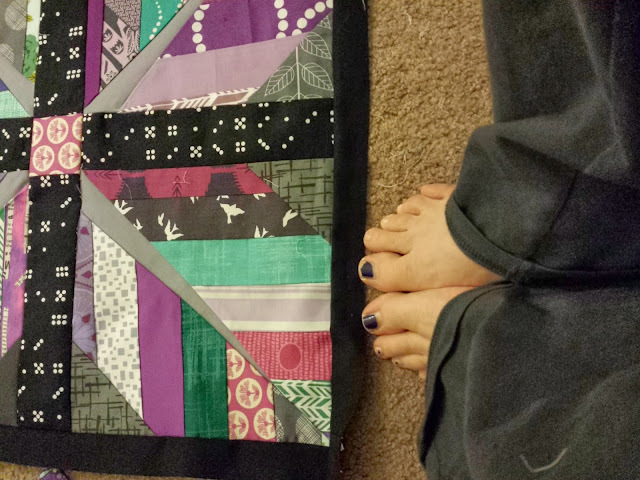 Overall, quilting is now, hands down, my favorite part of the quilting process. 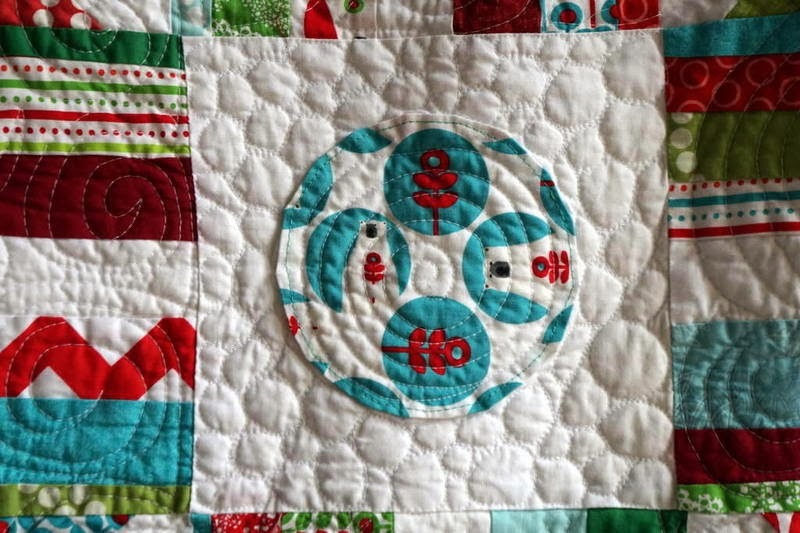 I catalog all my favorite designs in blogland on my FMQ Pinterest board. 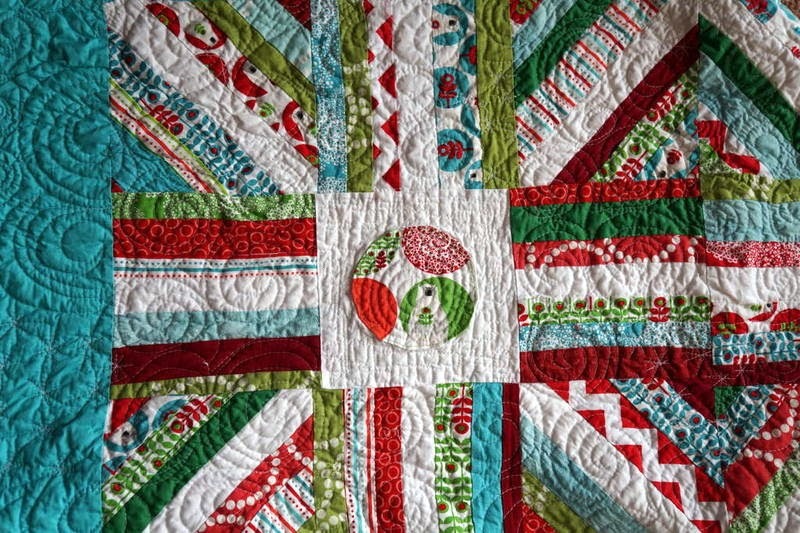 My friend Renee at Quilts of a Feather creates absolutely lovely designs - check out her Lonestar! 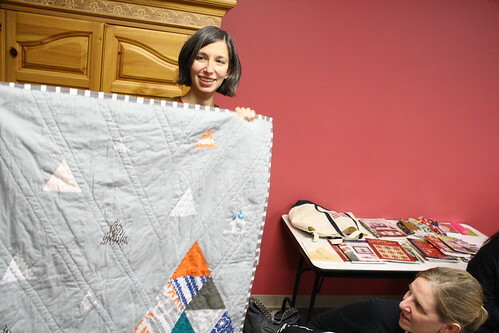 I love the book Free Motion Quilting with Angela Walters. She spoke to our guild last year (and signed my book!). 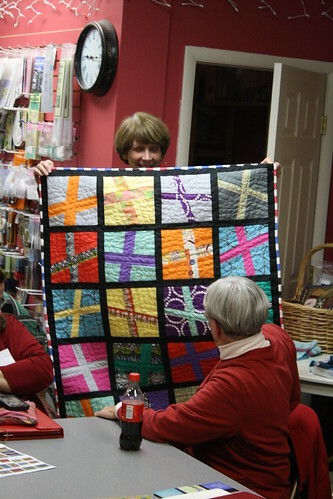 She recommends quilting fast and not worrying about mistakes. I LOVE that. Check out the post I wrote about her visit to hear more from Angela. 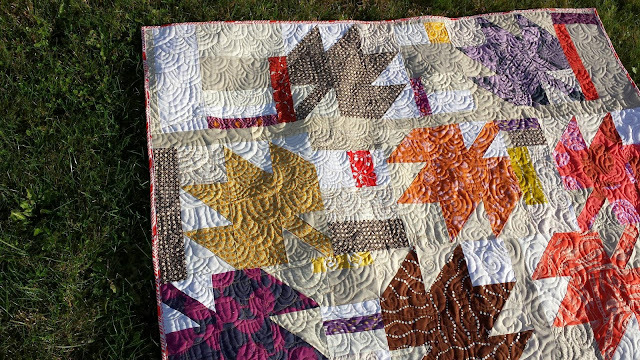 Leah Day has an amazing catalog of designs WITH VIDEOS. You could look at her page for hours! I hope some of you are inspired to start/keep free-motioning! Let me know - where do you stand with FMQ? 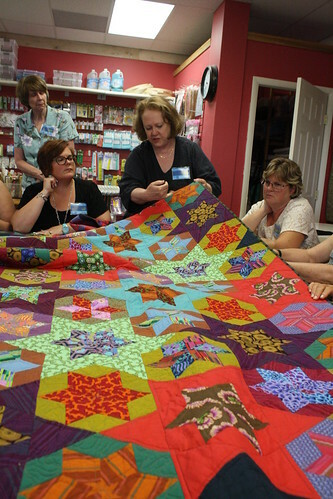 What is the quilt you are most proud of, quilting-wise? 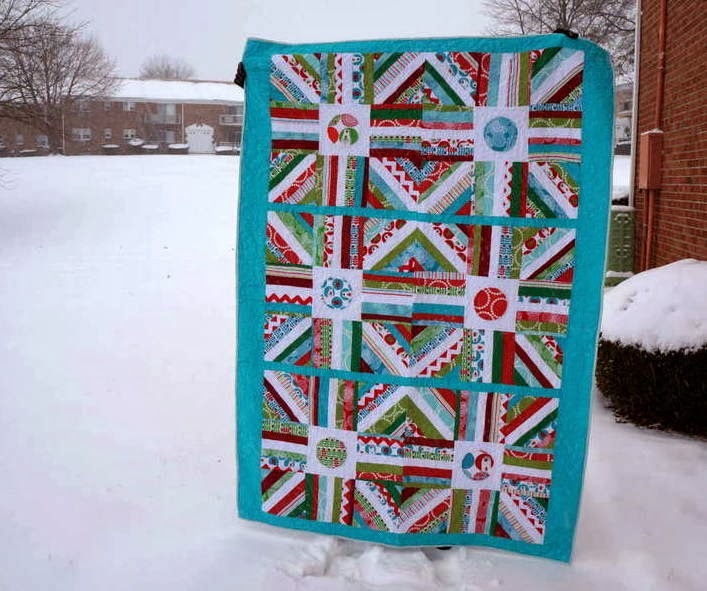 Linking up to Let's Bee Social @ Sew Fresh Quilts and I Quilt! @ Pretty Bobbins.